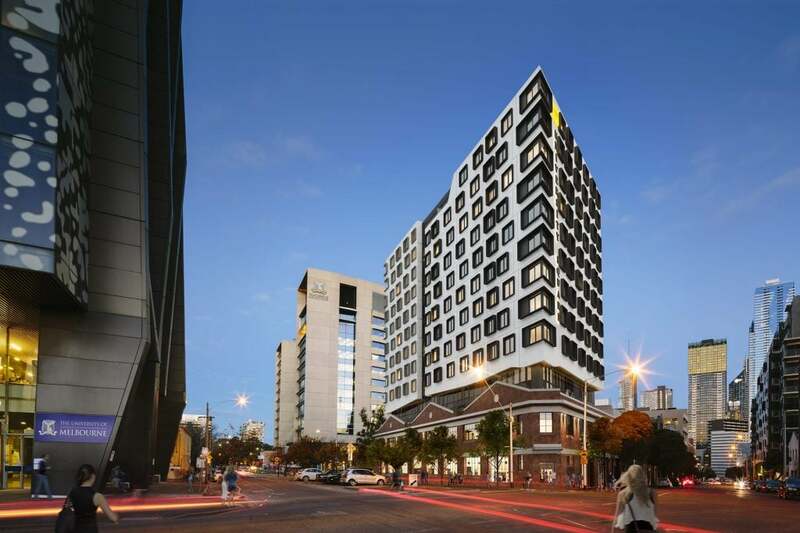 Urbanest’s second student housing project in Melbourne is a 24 storey building, situated on a narrow site adjacent to the heritage-listed Melbourne Welsh Church. Urbanest’s second student housing project in Melbourne is a 24 storey building, situated on a narrow site adjacent to the heritage-listed Melbourne Welsh Church. This urban context informed the architectural response, both in form and materiality. Located between an 1871 Gothic Revival Church and an early 90’s glass high-rise, this contemporary student accommodation becomes a meeting point between the two. To ensure urban views to the church were unobstructed the ground levels of the building are set back, thus creating a public forecourt. Drawing inspiration from noted modernist architect Mies van der Rohe, the public forecourt provides an outdoor gathering space for students and the church congregation alike. 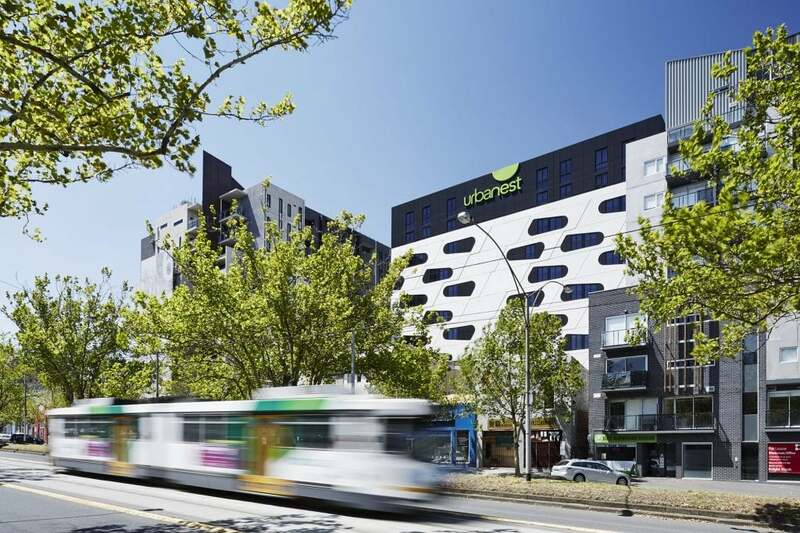 Urbanest Melbourne Central provides a diverse range of student accommodation; ranging from self-contained studio units to communal living pods with shared kitchen and entertainment facilities. Students are able to come together and gather in a range of social spaces, from the rooftop terrace to the gym to the study rooms.